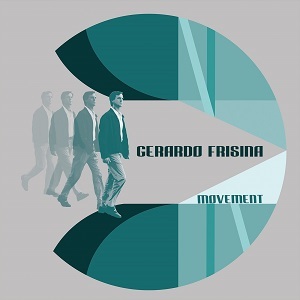 Gerardo Frisina has established himself throughout the years as one of thefinest interpreters of the Latin-influenced Jazz club sound. Four years after the release of “Join the Dance”, he returns on Schema with a brand new album, “Movement”. Gerardoʼs contribution to the history of Italian Jazz is remarkable: along with his activity as a producer, his work has been pivotal in uncovering rare Italian and European Jazz for international audiences, thus reviving this rich heritage. Here are 12 pieces describing another amazing journey through Gerardoʼs rich and exotic influences: these are the adventures of a European Jazz man immersed in Afro-Cuban inspirations. Gerardoʼs love for Cuban music is wellknown. “Movement” though, contains a new musical perspective - a more Afro-Funk approach that we can feel on tracks like “The Talisman” or “Mystic Latin”, with hot drum breaks that will set fire to the dance floor. This could be how would Manu Dibango or Fela Kuti sound in 2014! medley of a theme by the saxophonist Charles Williams and an original composition. natural environment in small and warm clubs – intimate places where dancers release their energy and celebrate life. “Movement” is a soundtrack of warm and summary vibes that will stay with us for a long time.